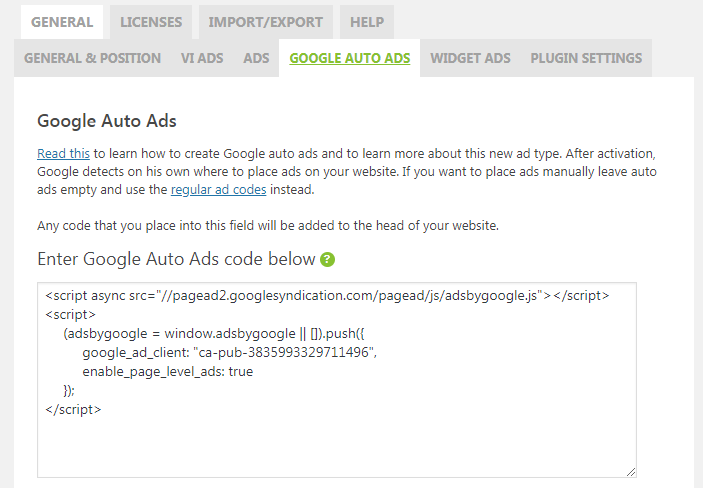 You can enable Google auto ads from your AdSense account from the main navigation. 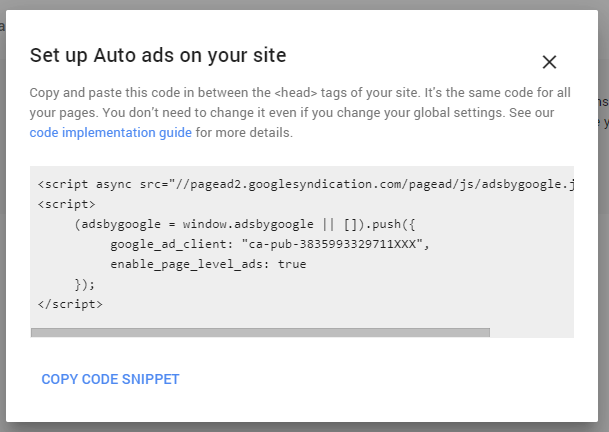 Now paste the code into the Google Auto Ads formular and save the settings! Reload the frontend of your WordPress website and after a while you should see Google ads appearing on automatically selected spots. Note, that these ads are auto generated by Google and you can not specify the exact positions where these ads are appearing. If you like to see ads in specific places on your website instead use regular text & display ads.